Walkhampton Drainage for all of your installation requirements. We install Treatment Plants as required. We work to Environment Agency guidelines and have installed units with their site approval. Site surveys and Percolation Tetsing carried out. Drainage drawings can be provided. Welcome to Walkhampton Drainage Company, for all your septic tank installations. 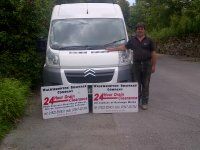 We offer Septic Tank Emptying in the Plymouth, Tavistock, Callington, Launceston, Liskeard, Kingsbrige, Ivybridge areas. Klargester and Synergie tank installations. Septic Tank and Treatment Plant Installations. Septic Tank Installations in Devon and Cornwall. We install septic tanks, Treatment Plants and Cesspools. No dig solutions, (Drain Linning) and drainage repairs. Septic tank installations in Tavistock, Plymouth, Launceston,Okehampton and Yelverton. Treatment Plants installed and maintained. Pump servicing. Septin Tank Installations, Drainage Repairs, Drainage Installations. Septic Tank Emptying for Commercial or Domestic clients. Emergency call out offered and along with 24 hour Drain Clearance blockeddrainstavistock, blockeddrainsplymouth, we offer a one stop Shop for all of your requirements. We carry out repairs to drainage systems, if we cannot excavate we can carry out linning works as required. For immediate assistance for our Septic Tank Emptying please contact Keith on 07547 421704. Calls answered 24 hours.